At RSGoldMine, one particular method of payment we receive is in the form of Neteller, which is an easy-to-use, trusted platform of transferring money. Follow the steps below to make paying for Runescape Gold with us easier and safer! 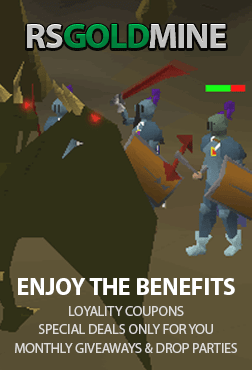 For the first step to buy Runescape gold with Neteller, you must first sign up to Neteller. To do so, head over to https://member.neteller.com/signUp/?lang=en and fill in the required fields shown. After filling in your details, press the “Open Account” prompt displayed at the bottom, and continue on to any additional requirements. You’ve already got a Neteller account, so now it’s time to buy Runescape Gold you’ve been wanting! Jump on https://www.rsgoldmine.com/buy-runescape-gold, and you’ll be greeted with our RS Gold buying interface. From here, choose which Runescape Gold you are looking for (RS3 Gold or OSRS Gold), and enter in your desired amount, as well as your Runescape username in which you will be receiving the Runescape Gold from. After entering in the two fields in our interface, select the ‘Buy Now’ button at the bottom of the widget. You’ll now be directed to our checkout page, where that Neteller account will come handy. Nearly there! From the checkout page, find Neteller from our wide range of platforms, and select it. If you have a promotional code, right now is the time to enter it. After all that is done, find the ‘Checkout’ button in the bottom right. From here, you’ll now be directed to the Neteller side of the trade. After selecting Neteller once more, entering in your Neteller details and confirming on the Neteller side of things, we are finally up to the fun stage! Yes, you’ve made it! At the bottom right of our webpage, you can see a small widget of our live chat. After a click on it, you’ll be directed to one of our experienced, English speaking live chat agents. From here on, the live chat agent will organize a meetup place and time for you. Any further questions? Our live chat team is always there to assist you. Purchasing OSRS Gold was made just that bit easier!